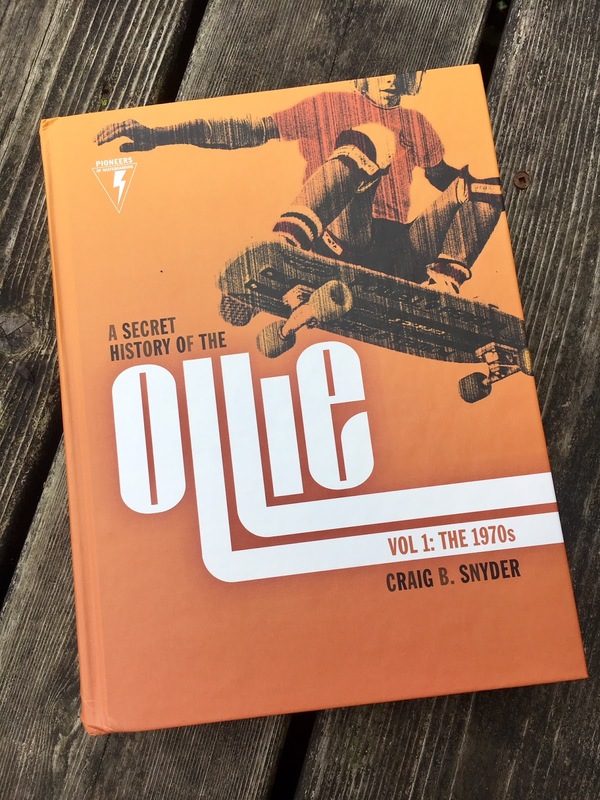 For the past while now I've been working my way through the weighty tome, A Secret History of the Ollie, written by Craig B. Snyder. 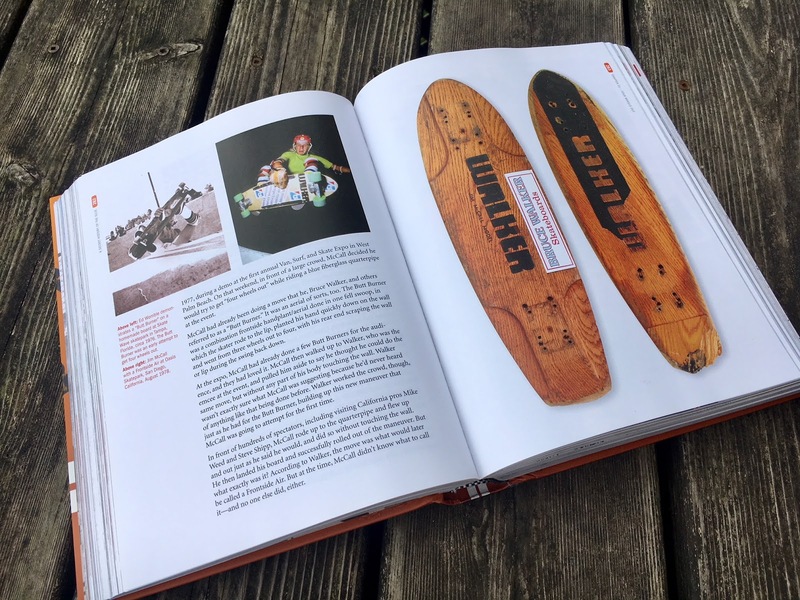 The book caught my attention early on when I heard various skateboard pros make reference to it in interviews. 1. 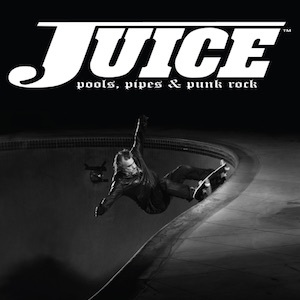 Key source material documenting the most substantial aspects of skate culture and history. These are the must have's. 2. Secondary content that is less substantial, more ephemeral, which might be of interest to particular types of people with particular sets of interests, but which is otherwise less generally essential to the average person. Deciphering which falls into what category -- for yourself at least -- is key and hearing Snyder's work referred to in an almost canonical way by some of the pros made me suspect that A Secret History of the Ollie was surely one that fell into the first category. This book was a massive undertaking, weighing in at five pounds, comprised of 1200 images and 912 pages, and Snyder approaches his subject with the passion and detail of a historian. It's no wonder that the book has received multiple awards and accolades. It's actually somewhat shocking that such a detailed narrative could be compiled -- and, what's more, that someone would take the time to piece it together into a coherent narrative. Color me impressed. So what is it about? 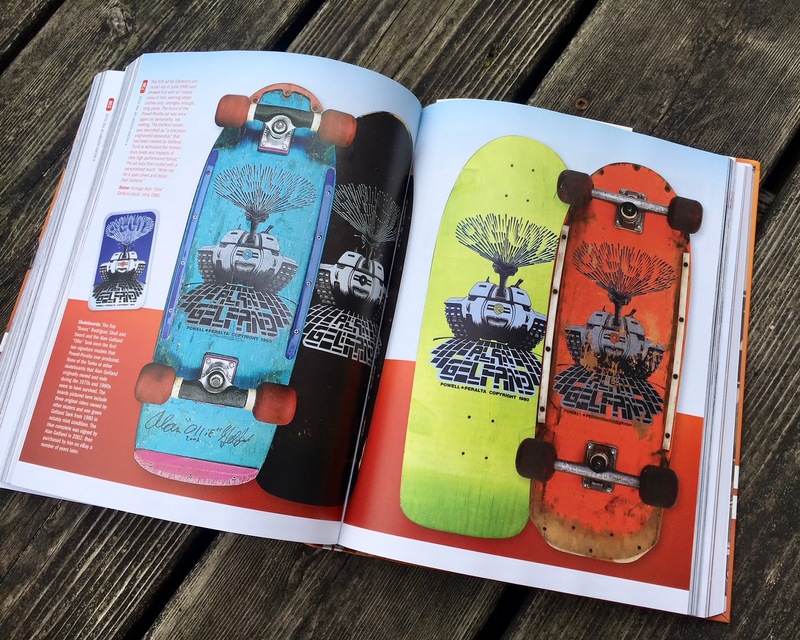 Is it a book about the ollie or is it a book about the history and development of skateboarding in the 1970's? Is it focused on skateboard designs? Tricks? The skateboarding industry? Skaters themselves? That answer is yes to all of these as they all arise within the book -- which is only sensible and proper; any general history worth its salt must try to consider as many angles as possible that are of relevance to its chosen subject -- and skateboarding is well known for having this complex interaction of influences. 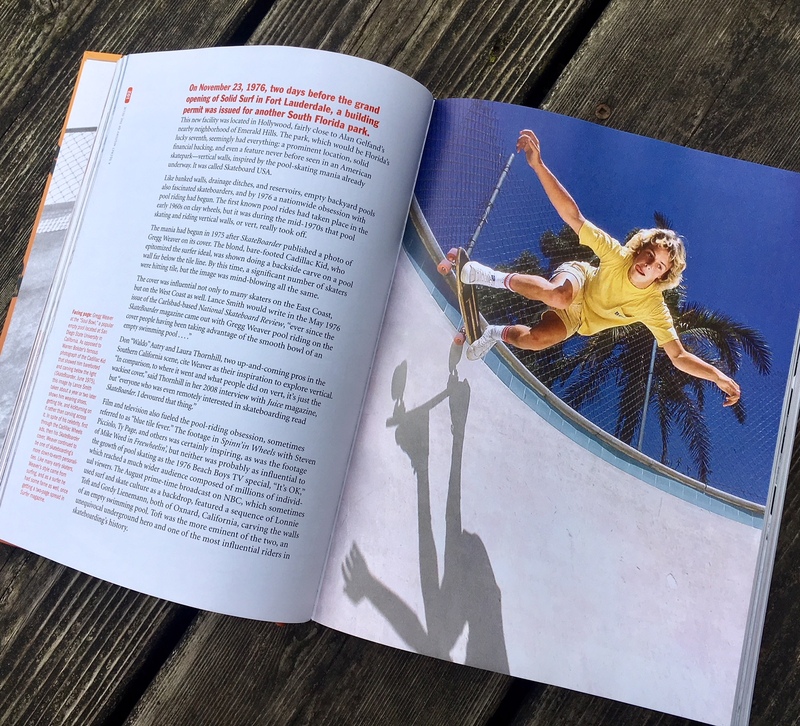 As a basic framework Snyder takes readers through a detailed account of the rise of modern skateboarding as seen through the lens of the discovery and further developments upon the ollie -- which many would suggest completely altered the direction of skateboarding by radically reshaping what was possible. As for it being a "secret history" this would seem to come with reference to the rather, let's not say unwritten but rather under-documented history of skateboarding outside of the Southern California scene. Specifically, Snyder focuses on the particular contribution of the Florida skate scene. Being a Floridian himself, Snyder provides a particularly impassioned and detailed account of Florida's role in this regard -- and he certainly has a point. To this day skateboarding is popularly thought of as a "SoCal" phenomena, but while it was that, it wasn't only that. That it was perceived as such seems mainly to do with the fact that the industry itself -- i.e. the companies, the magazines, etc. -- were rooted in Southern California and as such, that's the story that primarily got told -- good, old fashioned localism. But while Snyder throws some light on the politics of it all, and the challenges that came with it for non-Californian skaters, his goal is not to malign the California scene or its own critically important contributions; it's not about tearing down, it's rather about rounding out and filling in the gaps of a neglected narrative that speaks to the East Coast's own contribution to the development of skateboarding. 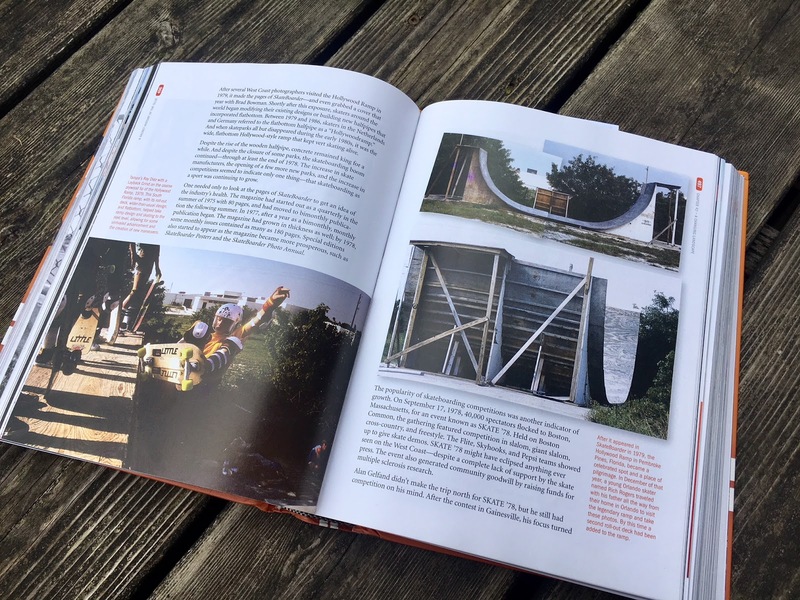 Snyder's book covers off developments in skateparks, pools, ramps and street and how the terrain influenced skateboarding's development. Skateparks and contests are a particular focus in the work, tracking how these influenced the development of skateboarding. As noted, the book has an especially East Coast focus, but Snyder also looks at the interplay between East and West, particularly the rise of Powell Peralta and the influence of Skateboarder Magazine. Snyder also makes sure to at least briefly consider the scene as it unfolded elsewhere, including a chapter on Sweden for example. 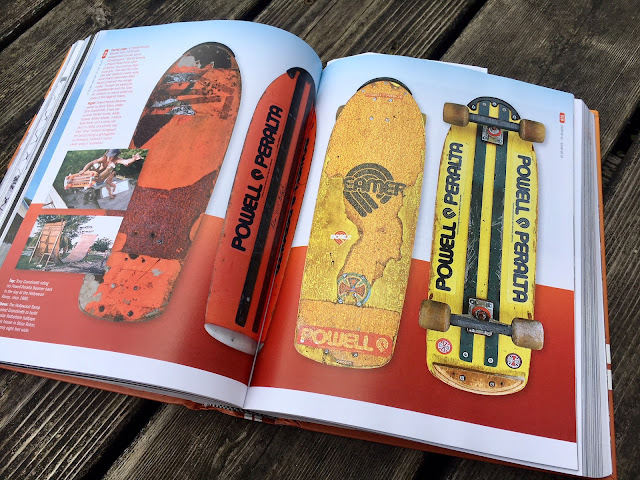 As Snyder considers the rise of Powell Peralta and the influence of Stacy Peralta on the industry, we begin to segue way into the 1980's as Mike McGill, Rodney Mullen and Steve Caballero begin enter ever more into the picture. Snyder also tracks the downfall of Skateboarder magazine and the gap that was left by this -- which allowed Thrasher magazine to arise -- and what Skateboarder magazine was to the 1970's, Thrasher certainly was to the 1980's. Given that A Secret History of the Ollie is touted as "volume one" I asked Craig when we could expect to see a second volume on the 1980's. The good news is that he tells me that he's already written it. As for when it will be released, that seems tied to completing the sales cycle for volume one -- so get out there and buy up the book! Admittedly, it is the 1980's volume that I am particularly eager to see, including how Snyder approaches the subject. That said, any true skateboarding aficionado cannot fail to be interested in the 1970's scene because that's where modern skateboarding started. In that regard A Secret History of the Ollie is a fundamental resource that paints a much fuller picture of what was going on at that time. I can tell you that I certainly feel a great deal more knowledgeable for having spent the time with the book. 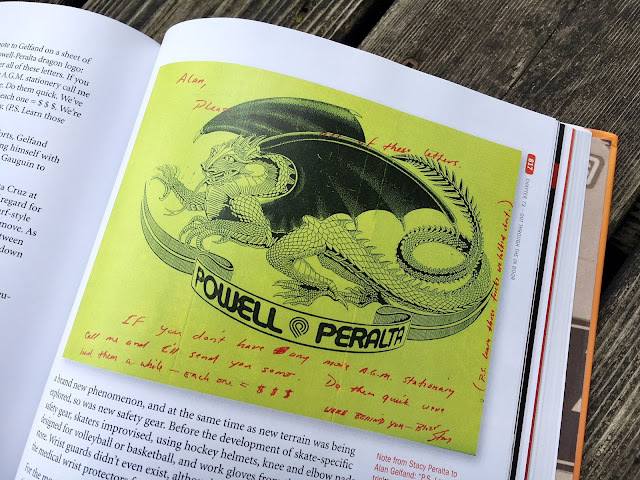 If what you are after is a book that focuses on Dogtown and the Z-boys, let me tell right now that you're not going to get that in this book, except peripherally. 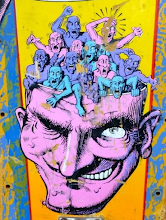 However, if what you are after is a broader, more rounded out history that is going to significantly add to your appreciation and knowledge of the skateboarding scene (and why wouldn't you want that?) then you're going to want this book. Personally, I consider this an essential text and I can't wait for what comes next. Hardcover, 912 pp. Black Salt Press.